I have a confession: I’m a sweaty woman. Maybe I’m just paranoid, but I feel like I sweat more than the average person. Though I’m a summer baby, I absolutely hate the heat. Even when there’s just a bit of humidity in the air, I can feel sweat trickle down my back. Before I know it, my shirt is soaked. When I think my matte finishing powder is doing the job, I get that dreaded upper lip sweat-stache. It’s not cute. Even worse? When my underarms start to perspire, I’m left with those crescent wet rings around my shirts. Sweating is totally normal, but what I consider excessive sweating is just annoying and embarrassing. During one of my many random nights of browsing Amazon, I stumbled upon SweatBlock ($18.99). It promised to “control excessive sweating for up to seven days.” Sold! Even though the product sounded too good to be true, I was down to give it a try, especially since the antiperspirant has almost 5,000 reviews on Amazon and a four-star rating. I was traveling to Nashville for a few days and wanted something that would stop me from sweating through my clothes. The active ingredient in SweatBlock is aluminum chloride. The directions suggested I use the pre-soaked towelette and dab it onto my underarms right before bed, which I did. Apparently, applying the product at night lets the ingredients work their magic while your sweat glands are less active. I also experienced a tingling sensation after using the towelette. I do have sensitive skin, but luckily, the tingling went away quickly. It’s to be expected, according to the package. I packed a few towelettes for my trip, especially since I knew it would be hot. Plus, I was doing a CrossFit work out in Nashville. Though I love to travel, flying gives me anxiety. I expected to start sweating once I reached the airport, but I didn’t. While taking my toiletries out of my bag for the TSA check, I realized I didn’t apply any deodorant before I woke up in the morning. 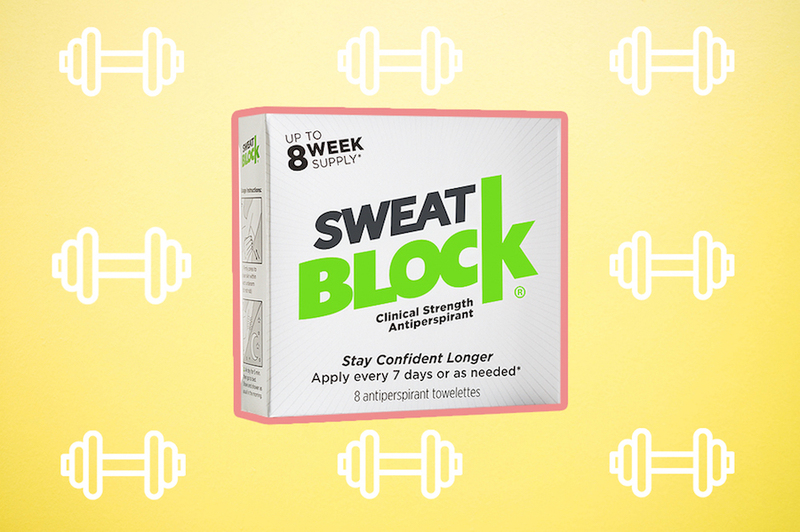 (SweatBlock isn’t a replacement for deodorant, FYI). I quickly popped into a restroom and applied a few swipes of my Secret. My underarms looked and felt fine, no bumps or irritation. 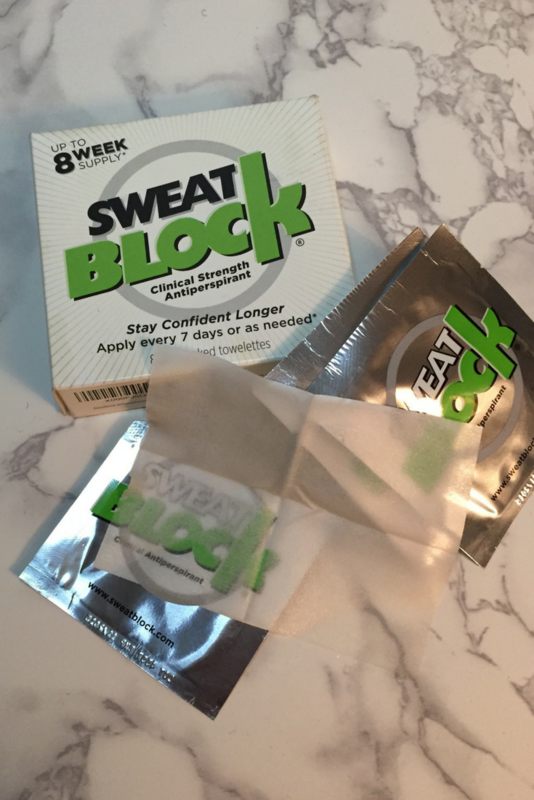 The slight tingling I felt after using SweatBlock the night before didn’t cause any visible issues with my skin. I put SweatBlock through the ultimate test: a CrossFit workout. 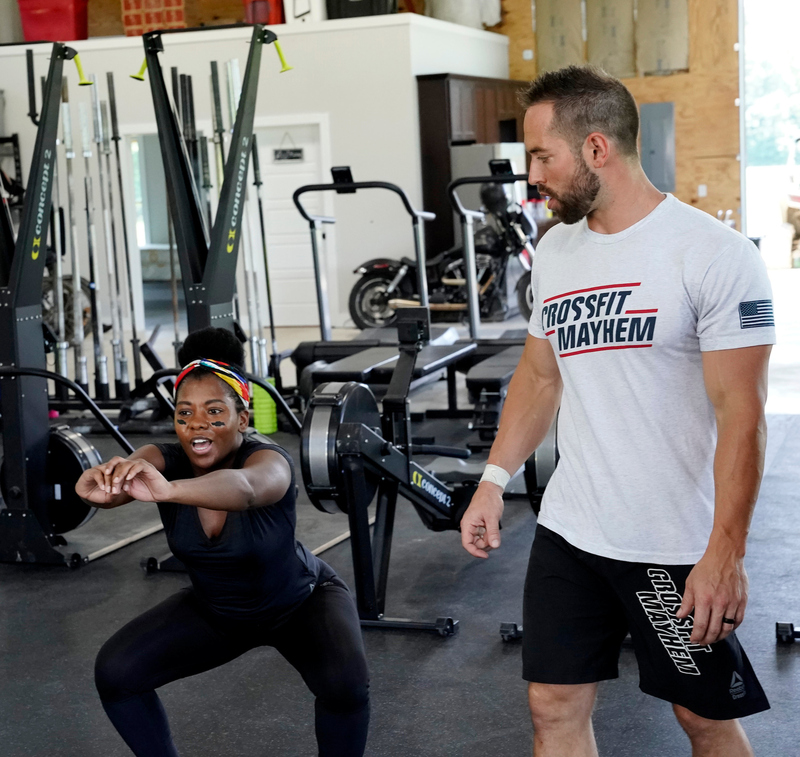 I had a CrossFit workout with fitness pro Rich Froning, and I was, of course, sweating (mostly around my face and back). SweatBlock doesn’t keep you from sweating all over, it just reduces underarm sweat. And it certainly did that during my workout. I was wearing a dark shirt, which would have camouflaged any pit stains, but there were none to conceal. I didn’t feel a puddle of moisture like I normally do. It got me thinking: Can I use SweatBlock on other areas of my body (i.e. my lower back) to prevent excessive sweating? I thought I was crazy for wanting to use this on other body parts, but I checked the website and learned that one of the most frequently asked questions is, “Can I apply SweatBlock to other body parts?” I felt comforted knowing I wasn’t alone. The website confirmed that customers have used the towelettes on other body parts, but they recommend you “consult a physician with further questions.” I decided to hold off using it on other areas for now. The next night, I applied the product to my armpits again. It was the second time in three days. Even though the brand suggested that a single application would be good for up to seven days, I knew I had another long and hot day ahead of me. My day consisted of exploring Nashville, thrift shopping (including at a crowded Goodwill outlet), hitting up a few honky-tonk bars, and finally ending the night dancing at a rooftop bar. Again, no underarm sweat! By this point, I was pretty much sold. My Nashville trip had come to a close, but I returned to N.Y.C on an 80-degree day. 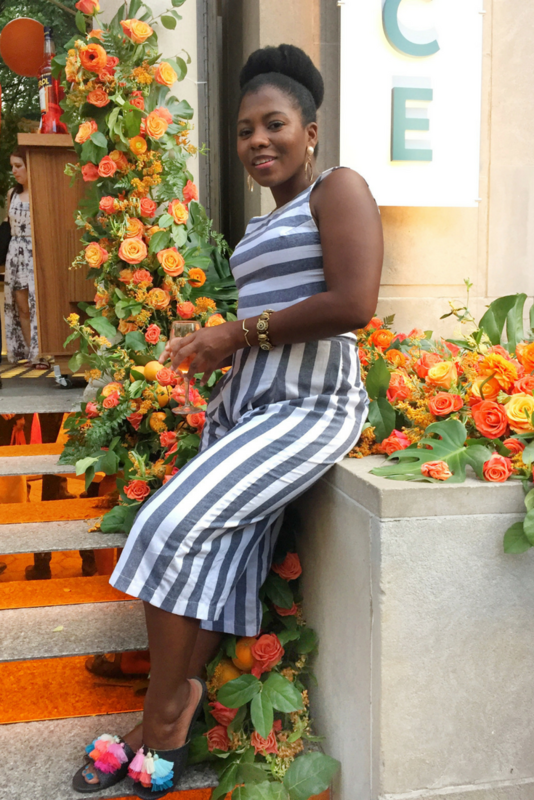 I wanted to wear a cute jumpsuit to an event I was attending, but I was hesitant since it was so hot. The jumpsuit is made of lightweight linen, but the top fits tightly against my armpit (meaning if my pits started to sweat, you’d easily see). I ended up wearing the jumpsuit, and there weren’t any sweat stains. I was pit stain-free! 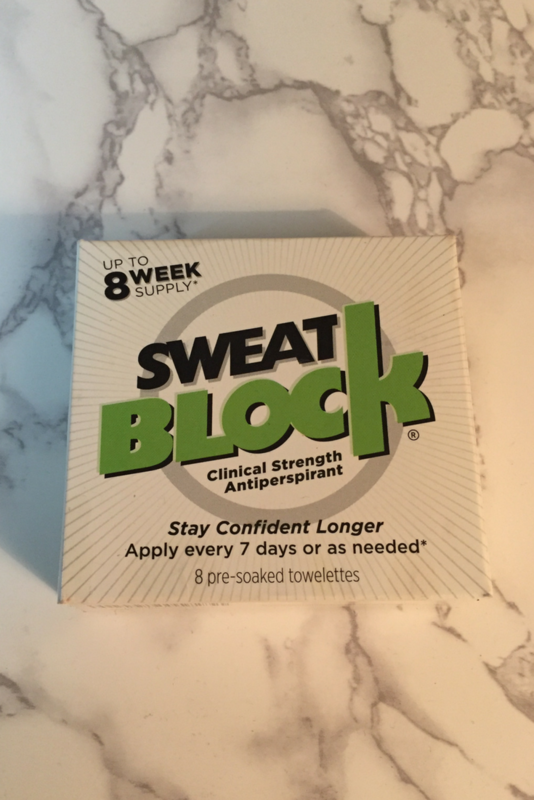 SweatBlock did the job and kept my sweating under control, and I loved the convenience of quickly applying it at night. The price is also great. For $18.99, you get eight towelettes, which can last up to eight weeks. I highly recommend it if you struggle with excessive sweating.